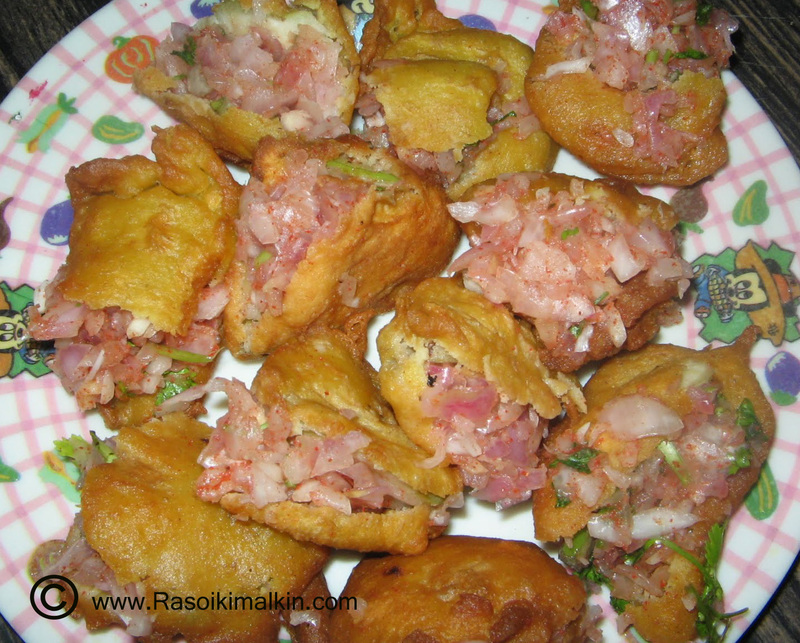 Alu fritters a snack,lightly oily food go well with evenings at tea time.. 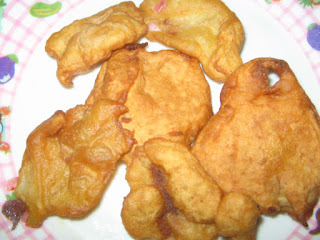 Mix besan,rice flour salt and chilli powder along with a pinch of soda in to a paste.It should be neither thick nor thin,it should be like mediun batter in consistancy. Place a pan with oil for deep frying,after it is heated,dip the thin slices into besan batter and drop one by one aloo slices in the oil and deep fry till brown. Enjoy them eating while they are hot with a chutney.. If u want them to be like street food then stuff chopped onion along with chilli powder and salt and lemon juice, corriander leaves and eat them..
Nice snack... love to have with a cup of tea in the evening. Wonderful looking fritters, feel like having rite now..
perfect finger food for cold soggy evening!